The products lines below can be purchased at the shop or over the phone. Call (518) 773-3992 if you have any questions or wish to place an order. As a make-up artist, Sherry knows what works and what doesn’t. She’s found many good lines of make-up, but nothing quite fit all her needs, until now. Sherry has used her years of experience to develop her own line of professional gradecosmetics. These products are of the highest quality and are made of the finest ingredients. They apply smoother and cover better than anything you can buy in stores. Try it for yourself and see the difference professional grade cosmetics can provide. SW Cosmetics, Professional Make-up for the Everyday Woman!!! Sherry has also developed a professional grade skin care line as well. You’ll simplely love the cosmeceutical-grade products she offers. You cannot buy products like these in stores. They can only be sold be licensed professionals. 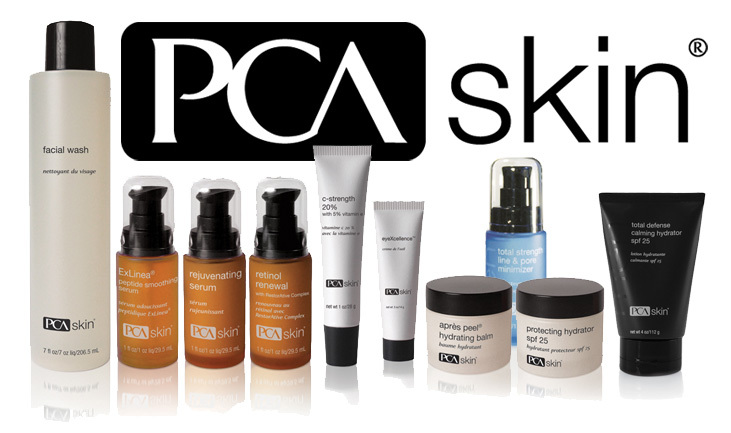 We offer products by PCA skin. These are some of the finest cosmeceutical-grade skin care product available today. These products feature quality and state-of-the-art ingredients that can only be sold by licensed professionals. 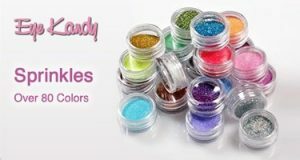 Eye Kandy Sprinkles are a high-end, pure cosmetic glitter that is completely safe for the eyes and is available in forty-eight brilliant colors. Unlike craft glitters, which may contain glass and can cause severe damage to the eye and irritate the skin, this glitter is specifically designed for cosmetic purposes. The Sprinkles colors are made from an acrylic polymer (plastic) and do not contain metals or glass. This makes them completely safe for sensitive skin and contact lenses. The glitter will not scratch or harm the eye, nor will it irritate the skin. See below for more pictures of different applications. Apply your make-up like the Pro’s everyday. 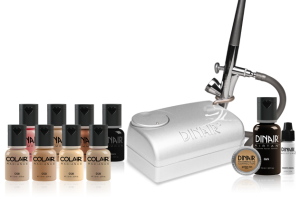 Purchase the Dinair Personal Airbrush kit and you are well on your way. Kit comes with an instruction video to get you started, and personal instruction is always available if you need more help. 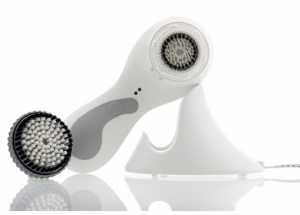 Now Available, the Clarisonic Sonic Skin care system. Clean your skin like never before in just two minutes a day. The Clarisonic provides results you’ll see and feel immediately. Sherry has a variety of Clarisonics for sale including the compact and economical “Mia”, the Professional Quality “Pro” and the ultimate “Pro Face and Body”. Call for details or stop in and see our demo. Your skin will thank you for it. We offer an extensive number of products from the Republic of Tea. We feel this is the best tea on the market and would love for you to stop by and try it for yourself and find out. Skin is affected by both external and internal factors. Keep your skin healthy from the inside out. We sell a variety of vitamin supplements and antioxidants that can help.